what is spa and wellness? The Athenaeum Spa at the Corinthia Hotel & Spa in Malta is set to undergo a major renovation. Spearheaded by London-based design firm Goddard Littlefair, the work, which is expected to complete later this year, will include a complete redesign of the spa, as well as the addition of a number of new facilities – including a manicure/pedicure salon, vitality pool, experience showers, relaxation room, thermal pool and deck and outdoor plunge pool. The renovation forms part of a significant year-long refurbishment to celebrate the hotel's fiftieth anniversary. Works already carried out include a new hotel lobby, designed by GA design, as well as a new executive lounge, for the exclusive use of guests staying in suites and executive rooms, offering personalised services, such as meeting spaces, private breakfast, complimentary drinks and snacks including afternoon tea with homemade treats. The guest rooms, including its executive and palace suites, have also been updated. 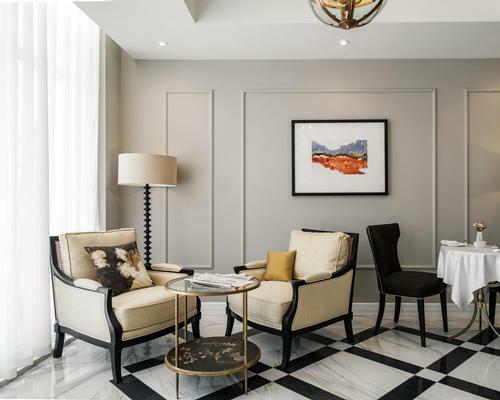 Design firm QP Management was tasked with creating spaces that captured the essence of Malta, whilst retaining some of the hotel's original features.